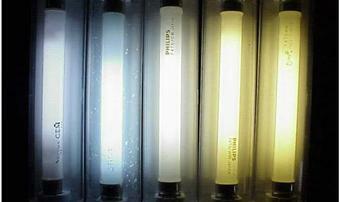 Tank bubblers are small, inexpensive, electricity-powered devices that can be purchased inexpensively at any aquarium or pet store. 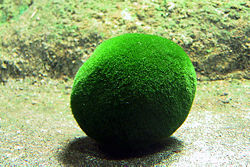 They are very good for Marimo because increase the rate of air exchange in an otherwise still water environment. 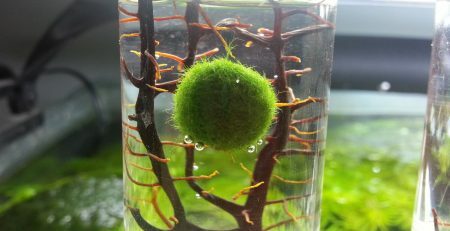 If your Marimo is housed in an aquarium setting with filtration equipment, adding an additional bubbler always helps, because the air movement will help to rotate the Marimo, ensuring that it grows evenly on all sides. Adding tank bubblers will help keep the water clean by bringing toxic gases and small debris to the surface. 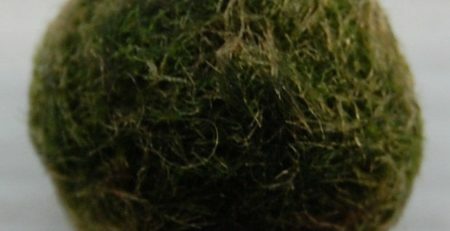 For example, leftover fish feed and other waste materials can get stuck on your Marimo moss balls and give them a dirty, unhealthy appearance. 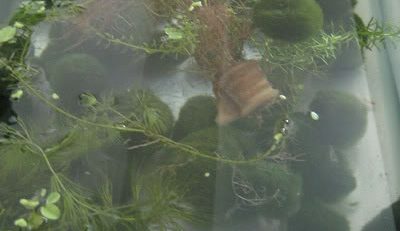 These things are surely not nourishing for the balls and for your fish, so they should not be left to settle at the bottom of your tank. The bubblers will keep the water moving so as to avoid this. Be sure to clean your tank bubblers once a month. This will keep mineral deposits, fish wastes, and algae buildup from clogging them up. For scrubbing the bubblers, use a new toothbrush or a similar brush that has never been tainted with soap or any chemical. If you see that the tank bubblers are not producing as many bubbles as before, this is a clear call for cleaning. Also check the tubes that connect your bubblers to the air pump in order to ensure that they are straightened out and not blocked with anything. 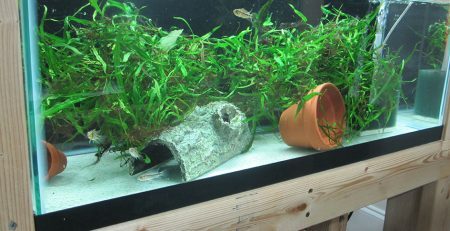 Marimos don’t require special types of aeration devices. 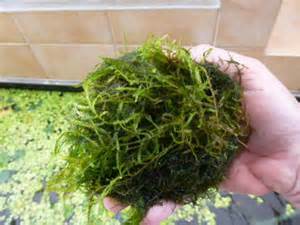 In fact, there is some evidence the moss balls help oxygenate the water, reducing the overall need for aeration. Depending on the size of your tank, you have several options. The more surface area, the greater oxygenation you will have naturally. Smaller tanks can typically get by with a basic HOB (hang on back). If you have a bigger tank or one that circulates water poorly, you can add a power head for extra stir to eliminate any dead spots. Air stones are another option if you can handle the noise, and will create a pleasant, bubbly aesthetic as a bonus. Or, you can opt for aeration ornaments like ships, shells, mermaids, or other decorations. 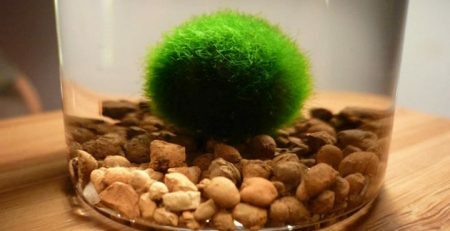 Your laid-back marimo balls will be happy with any of these options. Throw in some crystal and coral stones into your aquarium and along with the tank bubblers, they will enhance the look of your mini water world and help in purifying the water. As a result, the growth of your little pets can be boosted too. Naturally, you will have to change the water from time to time to keep it fresh and clean. 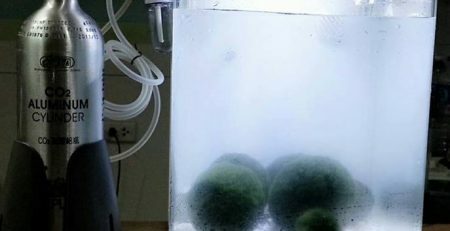 This way, you can further promote the good health of your fish and Marimo balls. Don’t forget to place the balls under running water for rinsing. Then manually squeeze them to get the dirty water and any other gunk out before you drop them again into the newly replaced tank water. 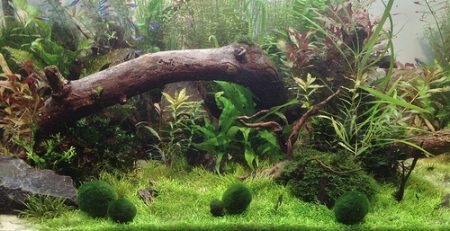 You must also know that the Marimo can survive in low lighting, but must not be directly exposed to sunlight. Doing so will lead to burning and death. What’s more, these algae balls will also not survive in a freezing environment.